Save yourself time scrubbing stains from your grout by choosing to protect it today with a top-notch sealer. Choosing a high-quality, long-lasting grout sealer is one of the best ways to protect your tile from water, dirt, oil, and mold. 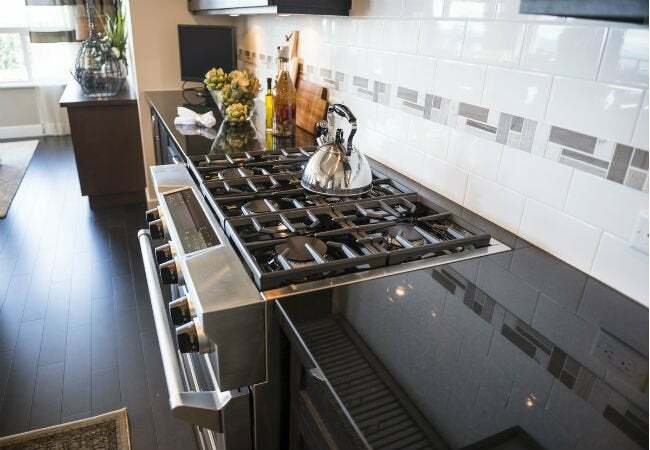 However, The North American Tile Cleaning Organization warns there is little warranty enforcement, and “no industry standards for testing grout sealers.” That means that it’s up to the consumer to do his or her homework before beginning a grouting project. 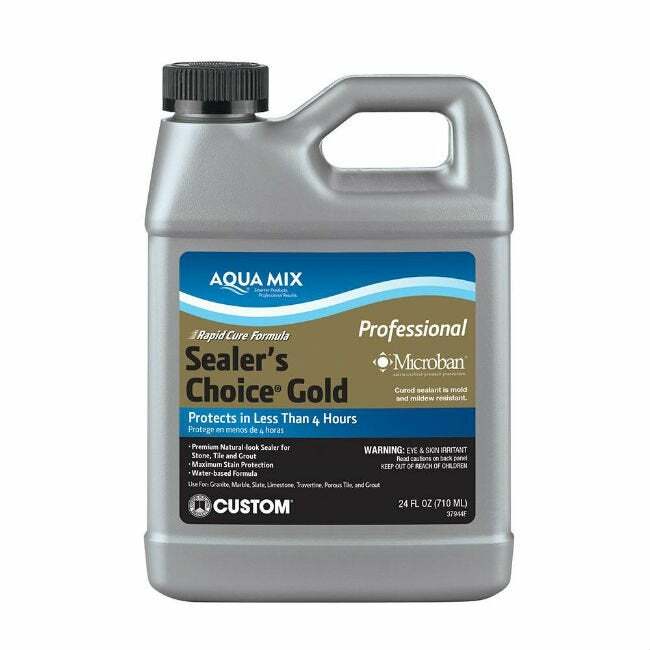 FAST-CURING GROUT SEALER: Aqua Mix Sealer’s Choice Gold, 16 oz. NONTOXIC GROUT SEALER: SafeCoat Grout Sealer, 32 oz. 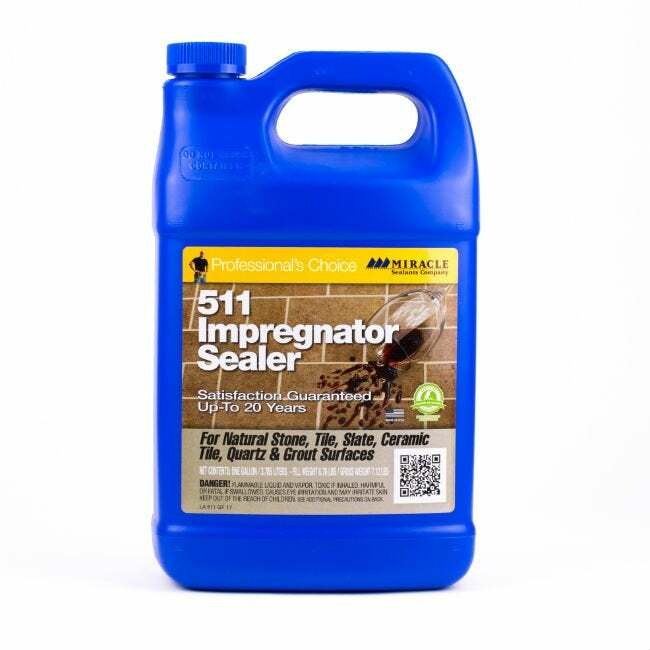 LONG-LASTING GROUT SEALER: Miracle Sealants 511 Impregnator, 32 oz. Get all of the details below. If you have any additional questions, of course, consult with a sales representative or the contractor on the job before making your final selection. Grout comes in two main varieties, one of which isn’t porous and doesn’t require sealing—to spend the time researching and later applying sealer would be a waste. So, before you run to the store to shop for the best sealer, know if your surface actually needs it. Cement-based sanded grout is an adhesive mixture of water, cement, and sand that fills in the gaps between tiles. This combination of natural compounds is porous, making sanded grout susceptible to water and grease damage, dirt, mold, and even bacteria. Here, a grout sealer is a must to cover or plug those microscopic spaces and keep your grout clean and fresh. In epoxy-based unsanded grout, epoxy resins are combined with filler powders to create an extremely tight bond. This provides certain advantages over cement-based grout: It’s non-porous and easily cleaned, very durable, and almost stain-proof—all without requiring a grout sealer. That said, it’s not perfect. Its disadvantages include its artificial, almost plastic appearance; hard-to-remove grout haze; and pricier installation. If you prefer the look and feel of sanded grout and choose that for your tile installation, you will need to choose a high-quality protective sealant. Wait until the grout is fully dry, then apply one a product chosen based on the following criteria: your needs, the sealer’s toxicity, the project scope, and the bottom line. If you’re looking for a layer of basic protection from an easy-to-apply solution, a non-penetrating sealer (also called a “surface coating”) may be right for you. Non-penetrating grout sealers will protect kitchen floors and backsplashes from moderate water exposure, dirt, and grease. (Areas that are exposed to a lot of water—bathrooms, tubs, and showers—will be better protected by a penetrating product, described below.) This type of sealer must be reapplied every year or two and often won’t adhere to glazed tiles, so it’s the best fit for grout located in unglazed tiles and natural stone. To prevent long-term water, mildew, and oil damage—especially on grout surrounded by denser, less porous surfaces—you’ll more likely want to choose a penetrating grout sealer (or “impregnating sealer”). Look for a product that (a) is designed for your tile material (natural stone, ceramic, porcelain, etc.) and (b) provides a natural-looking finish without unintentionally changing the color or texture of the grout or surrounding tile. An impregnator should protect grout for a minimum of three to five years. That said, industry experts still recommend paying close attention, reassessing any damage, and re-sealing grout every two years. Penetrating sealers come in colorless and color options, the latter of which may lessen visible stains or discoloration in your grout. Unlike grout paint or dye, a color sealer penetrates the pores in sanded grout, protecting it from future water damage while it restores the original hue. If you know the brand of grout you originally used, you can contact the sealer manufacturer to ask about the best match for your specific shade. Solvent-based sealers contain heavy chemicals that are harmful if inhaled or ingested. You can still use these products and minimize potential harm from formaldehyde, volatile organic compounds (VOCs), and petroleum distillates by wearing gloves and a safety mask. As well, avoid exposing the grout sealer to heat and flame. Water-based sealers offer a strong safe alternative. According to the North American Tile Cleaning Organization, these water-based grout sealers have lower VOC levels and are generally more effective than solvent-based counterparts. Look for labels that describe the product as “non-toxic” and “formaldehyde free.” The ingredient list may contain a potassium siliconate solution, which should not be ingested but has less harmful side effects. When it’s time to apply a grout sealer, make sure you use enough product—at least two coats. To determine how much product to buy, find the square footage of the surface area you need to protect and compare this to estimates listed on sealers’ packaging and/or manufacturers’ websites. The manufacturer’s description (available on major supplier websites) will often give you a more accurate approximation of how much sealer to buy. For example, a standard impregnator can cover 1,000 to 4,000 square feet per gallon. You can apply grout sealer using a sponge, following these steps. Some products also have a roller-brush applicator or spray nozzle to cover wider grout joints and all-over application (including tile surfaces). For precision work, smaller brush applicator tips work best. If your first choice doesn’t come with an applicator, you can buy a bottle separately (like this HDX Grout Sealer Bottle at The Home Depot). 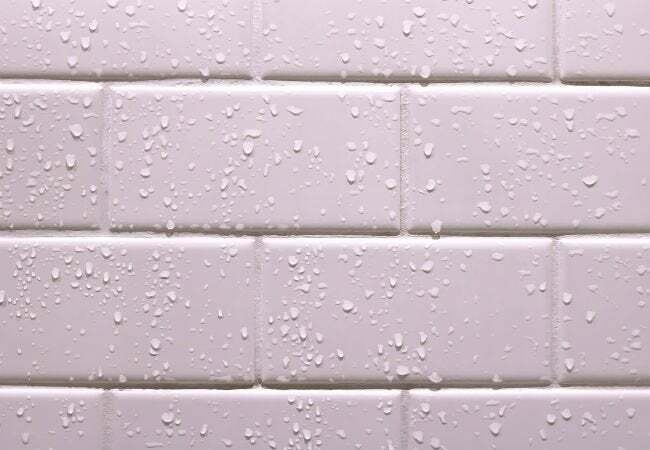 On average, you’ll typically pay between $.80 and $1.50 per square foot of product used to protect grout. (And, if you don’t plan to do the job yourself, cost calculators can help you determine material and labor expenses, based on your exact square footage.) High-performance, lower cost grout sealers do exist, with a variety of applicator styles and formulas to choose from, but expect to pay at least $13 to $15 per quart—call it a small investment for the time you’ll save not scrubbing grout later on. After combing through consumer reviews with these parameters in mind, we’ve hand-picked the three of the best grout sealers for various applications. Start your shopping trip here with this well-reviewed bunch, and remember: Your results will vary if your grout is newly installed or already shows age and surface stains. Consistently winning high marks for quality and reliability is AquaMix Sealer’s Choice Gold. The company recently reformulated its recipe, making it a lower-VOC, water-based formula, excellent for stone and sanded grout. While some pros may feel this slightly impacted its effectiveness, most customers are highly satisfied: More than 72 percent give it five stars on Amazon, with praise like “easy to use” and “crystal clear” results. Make sure to read the instructions carefully, though, because the customers that weren’t as happy with the outcome had skipped this important step. A 16-ounce bottle will cover 37 to 187 sq. ft. of standard grout lines. Available on Amazon. 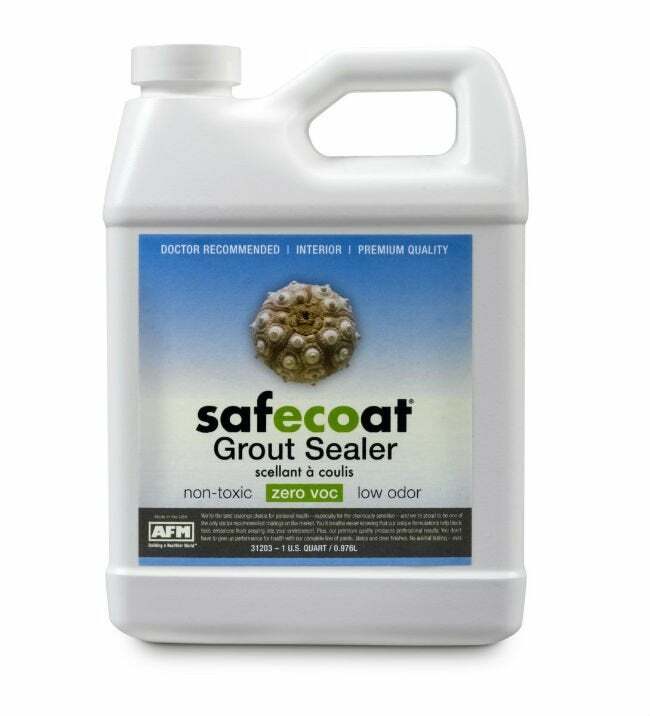 Designed to last five years on interior surfaces (and three years on exterior grout), SafeCoat Grout Sealer contains no formaldehyde and “meets or exceeds all fed and state air quality regulations.” This standout brand is helping make toxic chemicals obsolete! The clear liquid coats and moderately penetrates porous tile grout and other cementitious surfaces but does not change the color or texture. Best yet, 78 percent of Amazon customers rate SafeCoat five stars! A 32-ounce bottle will cover 75 sq. ft. of standard grout lines. Available on Amazon. Whether your grout lies indoors or out, the ever durable Miracle Sealants 511 Impregnator provides water, stain, and slip protection—yes, treated surfaces actually become less slippery—all without altering the natural look of the surface. In fact, a majority of Amazon reviewers (71 percent) rate it a five-star product. Though it has a higher chemical content than other options listed here, it still meets VOC requirements and will endure for years. A 32-ounce bottle will cover 125 sq. ft. Available on Amazon.